AMA Insurance Services is an American based insurance company founded in year 1984 and has its headquarters in Chicago, Illinois, United States of America. 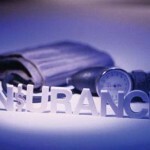 AMA Insurance Services provides insurance products and related services. The company products include life insurance, health insurance, auto and home insurance, disability income, insurance for medical students, residents, and physicians and their families. AMA Insurance Services is a subsidiary of American Medical Association Inc. AMA Insurance Services has been serving physicians with financial security for more than 25 years. The online website of the company has a resource center which allows downloads, news and glossary. There are currently 0 consumer reviews about AMA Insurance Services available. Share your review. Please take a note that you are about to post a public review about AMA Insurance Services corporate office on CorporateOffice.com. This review will be public, so please do not post any of your personal information on this website. If you would like to contact the corporate offices of AMA Insurance Services, please use their contact information such as their phone number, website, and address listed above to contact them. However, sometimes staff from AMA Insurance Services headquarters do read the reviews on this website.